At last night’s meeting, City Council approved a Conditional Use Permit to allow for the operation of Tilt Studio in Patrick Henry Mall. Tilt Studio is a family entertainment center that will feature party rooms, over 100 amusement games, a bobsled ride, bumper cars, and mini-bowling as well as a two-level laser tag course. The City of Newport News is hosting a community forum to provide Newport News residents an opportunity to share their ideas about the next Chief of Police. The forum takes place on Tuesday, December 6 at 6:00 p.m. at the Brittingham-Midtown Community Center, 570 McLawhorne Drive. Facilitated by the search firm Developmental Associates, the interactive forum is an opportunity for residents to express what they feel are the most significant law enforcement issues facing the next Chief of Police. Citizens also may voice their preferences about the qualities that are crucial for the next Chief to possess. The position became vacant when former Police Chief Rick Myers left his position with the City at the end of August, 2016. Assistant Police Chief Michael C. Grinstead was named as Interim Police Chief until a new Chief of Police is selected. Residents are encouraged to attend the Community Forum on December 6; however, in the event that residents are unable to attend, an online feedback form is available through Saturday, December 9 at www.empliant.com/survey/F8032BDDF-BE6E-F319-48E3/. 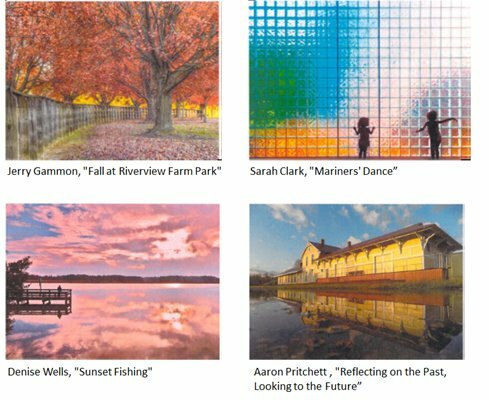 The winners of the 8th “ZOOM IN on Newport News” photo contest, sponsored by the Newport News Tourism Development Office, have been selected. The contest had both a professional and non-professional category and four winners were chosen over all. A Grand Prize award and an Honorable Mention was given in both categories.